Angry Koala Gear: Who Says You Can’t Go Home? 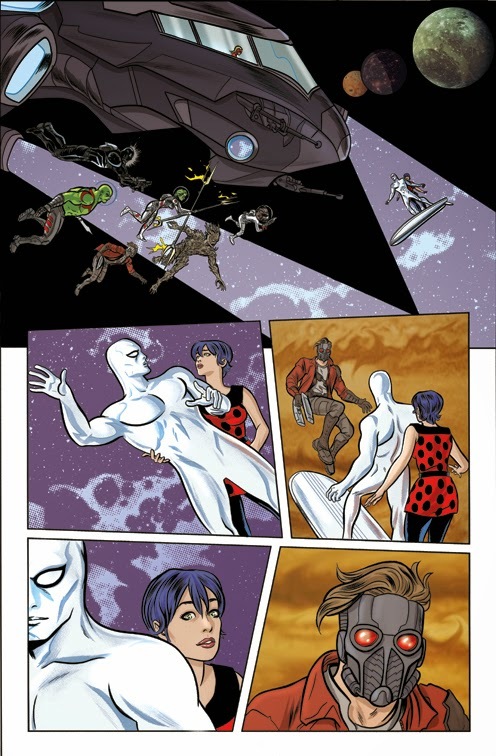 Your First Look at SILVER SURFER #4! Who Says You Can’t Go Home? 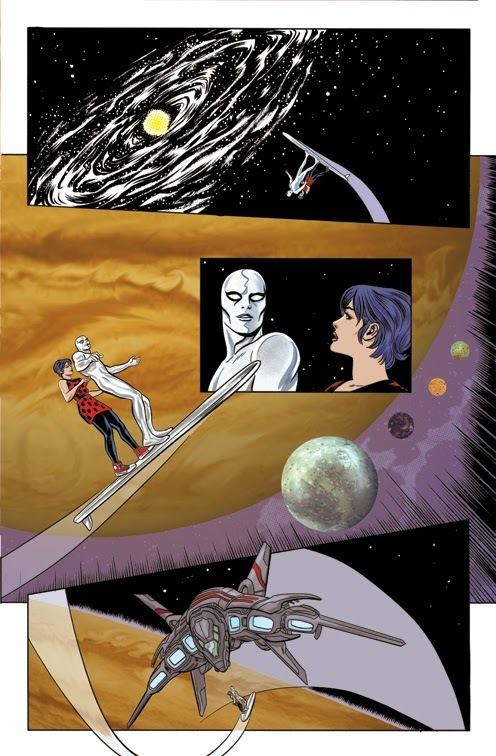 Your First Look at SILVER SURFER #4! This July, the smash hit series of All-New Marvel NOW! 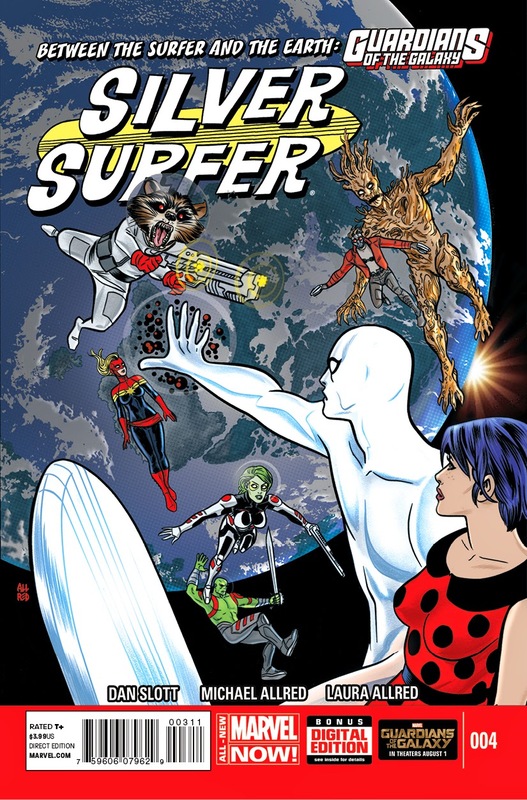 continues in SILVER SURFER #4 – from the chart-topping creative team of Dan Slott and Mike Allred! They’ve journeyed the cosmos together, but now it is time to return Dawn Greenwood home. Only to do so, the Silver Surfer must travel to the one place in the galaxy he dreads the most – the Planet Earth! 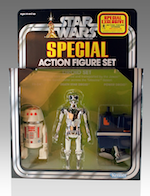 Only he gets a little more than he bargained for on the way. 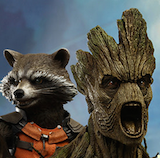 And what should be a quick drop off turns into a very strange adventure when the Guardians of the Galaxy get involved! Plus, don’t miss a guest appearance from two of the Surfer’s Defenders teammates – Doctor Strange and the Incredible Hulk! 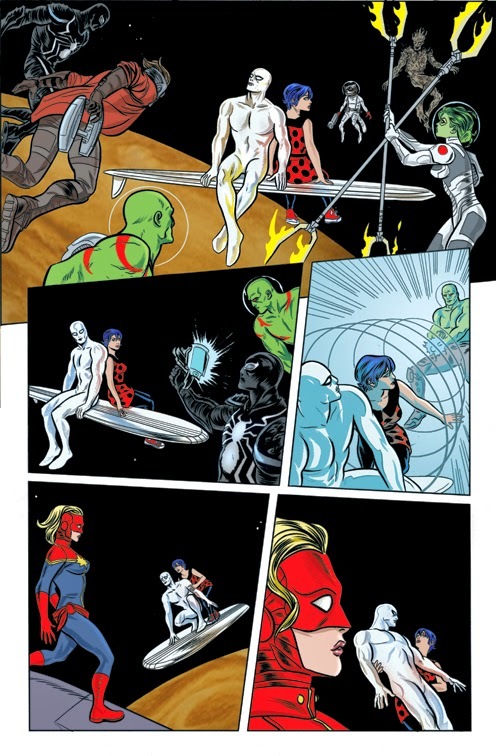 Don’t miss the book everyone is talking about this July in SILVER SURFER #4!